Islamic extremists shoot some, slit throats of others. JOS, Nigeria (Morning Star News) – A large contingent of Islamic extremist rebels from Boko Haram invaded a predominantly Christian village in northeastern Nigeria Saturday night (Feb. 15) and reportedly slaughtered at least 121 people. Dressed in military fatigues, the Boko Haram rebels, who seek to impose sharia (Islamic law) throughout Nigeria, reportedly shot some people and slit the throats of others while shouting “Allahu Akbar [God is greater]” in Izghe village of the Gwoza Local Government Area of Borno state. They also destroyed homes and shops. Maina Ularamu, chairman of the Gwoza LGA, told newsmen in Maiduguri, Borno state that reports reaching him from the area indicated that more than 100 Christians had been killed in the attack. A Borno state senator, Ali Ndume, told the BBC’s Newsday program that 106 people had been killed. Today returning residents reportedly said they had found 40 bodies in nearby bushes, and it was not clear if Ndume’s figure included those victims. Press reported indicated no fewer than 121 Christians were killed. Ndume reportedly said the Nigerian military had withdrawn from the area after an ambush last week took the lives of nine soldiers. The massacre beginning at midnight Saturday reportedly lasted about five hours without intervention from the military. Izghe village is about 140 kilometers (86 miles) from Maiduguri and is close to the Sambisa Forest, which has served as an operational camp for Boko Haram. The massacre comes after an attack on a church by Boko Haram in neighboring Adamawa state on Jan. 31 that took the lives of 11 people. The Islamist gunmen killed the 50-year-old pastor of the Church of the Brethren in Nigeria (Ekklesiyar Yan’uwa a Nigeria, or EYN), the Rev. Hannaniya Sini Kwajipwa, and 10 other members of his congregation in the assault on the church in Sabon Garin Yamdula, in the Madagali Local Government Area, according to an EYN official in Jos. That attack occurred a week after Boko Haram Islamists assaulted St. Paul’s Roman Catholic Church in Waga Chakawa village, also in the Madagali LGA, on Jan. 26 that killed as many as 43 Christians. 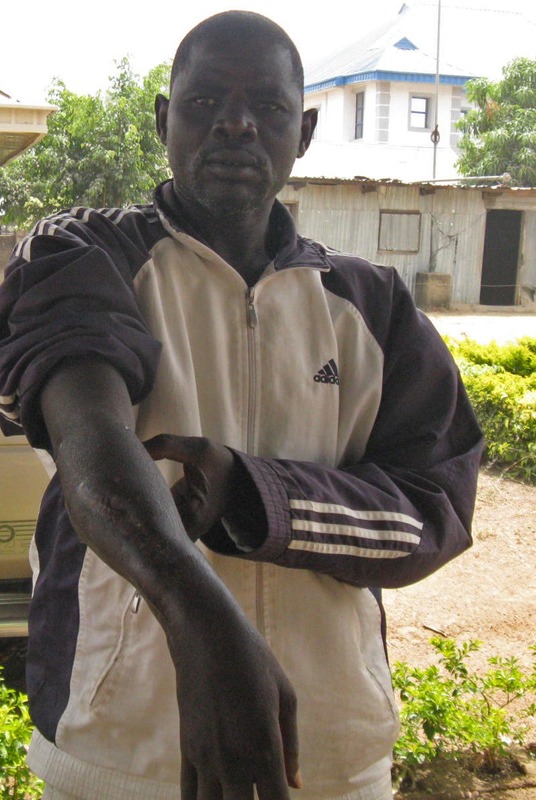 In northern Nigeria’s Kaduna state, a band of armed Muslim Fulani herdsmen on Jan. 30 attacked the Christian village of Ungwar Kajit in the Manyi Akuru area, near Manchok, killing a family of seven and a man nearby, and injuring dozens of others. The Rev. Yakubu Gandu Nkut, chairman of the area Christian Association of Nigeria (CAN), told Morning Star News by phone that the attack occurred at about 10:30 p.m. and killed 47-year-old Nathanial Abins, his wife Ruth Abins, and their five children. The assailants also reportedly killed another man near the family’s home. Boko Haram activity in Borno state has displaced an entire church, with a remnant settling in Jos. A pastor with EYN, Luka Bitrus, and over 150 members of his EYN congregation of Sasawa village of Gwoza LGA have been displaced following attacks that began in December 2012. “Our church was attacked alongside other Christian villages in the Gava West area of Gwoza in Borno state on Dec. 18, 2012, and since the attack, which destroyed our worship building and our homes, we’ve become a remnant of a church in exile,” Bitrus told Morning Star News. Boko Haram attacked area communities 10 more times over the course of the next year, Pastor Bitrus said, killing 15 Christians. Among the survivors was Adama Musa, 45. 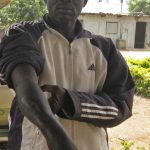 Musa escaped unhurt, but four months later Boko Haram gunmen returned and wiped out what remained of the village, he said. Those killed over the year, church leaders said, were Haruna Gwama, 60; Joseph Yava, 50; Markus Ngamtuka, 58; Dabawa Ibrahim, 16; Tsaudina Bulus, 23; Shuwa Yakubu, 15; Kewa Bitrus, 47; Kulkwa Bitrus, 8; Yakubu Godiya, 65; Naomi John, 50, a mother of nine children; Bitrus John, 55, and two of his sons. Also killed was a young man and a 70-year-old woman whose name the church leaders could not recall. This report updated Feb. 25, 2014.